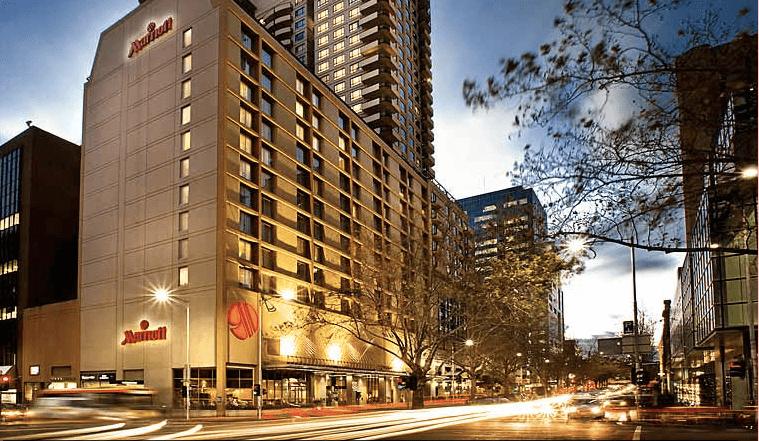 Located in the heart of the city, the Melbourne Marriott Hotel features exceptional facilities and service that is unparalleled amongst other Melbourne luxury hotels. Boutique in size yet grand in style, the Melbourne Marriott offers the perfect welcome. Featuring spacious rooms, starting from 36 sq m in size, our Melbourne hotel's accommodations are at the centre of city's theatre precinct, and just minutes from the shopping delights of Bourke and Collins streets, as well as the cultural and culinary extravaganza of Chinatown and the Melbourne Museum and Royal Exhibition Building. For sports enthusiasts our hotel in Melbourne is a short walk from the MCG and Rod Laver Arena and only a seven-minute tram ride to the Etihad Stadium. And for those traveling on business, our hotel in Melbourne offer stylish, state-of-the-art event space for up to 250 guests, as well as on-site event managers, exceptional catering and a full-service business centre. Discover a leader among Melbourne hotels at Marriott.